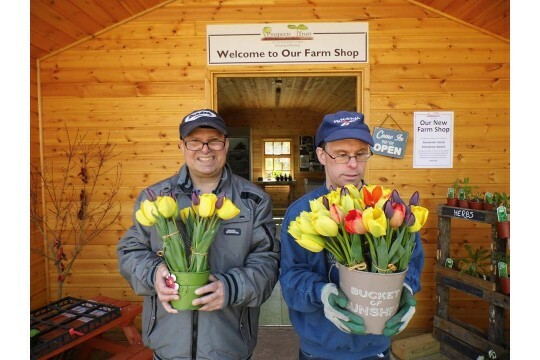 The Prospects Trust works with people with learning difficulties and disabilities (our Co-workers).The Trust is based at Snakehall Farm, an 18 acre organic farm situated between Swaffham Prior and Reach. The Trust delivers accredited training, work and volunteer opportunities in horticulture, farming, creation of secondary products and garden maintenance. The Trust grows organic produce and plants for sale to the local community via the on-site farm shop and through a wider local supply chain. We support up to 15 co-workers per day by providing real work experience and training on our 18 acre farm. We specialise in providing therapeutic horticulture to children and adults with learning difficulties, disabilities and those suffering with mental ill health. We also provide a unique farm shop to our local rural communities, stocked with seasonal, organic 0 food mile produce. "We grow better". Through the commercial cropping of herbs and vegetables, through the social trading our our produce, through the green fingers of our garden team - we grow our co-workers first and foremost. We provide a true and supportive working environment for those most often marginalised from the working world, grow some of the most edible organic produce in the UK and grow acres of smiles. We are always looking to complement our experienced and skilled staff and Trustee team. Please ring the office on 01638 741551 for further information.